I shot this immediately after the recessional. 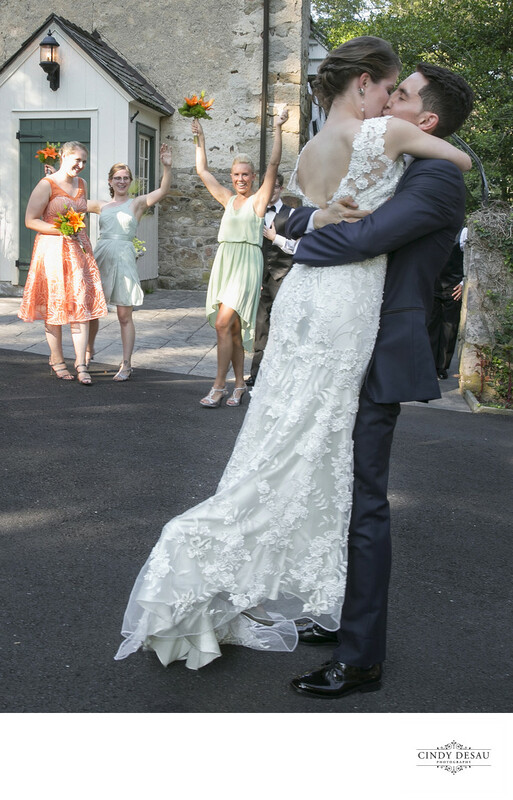 As soon as he could, the groom swept his bride up in his arms and swept her around, while her bridesmaids cheered. I find that I capture a lot of great candid, intense and tender moments immediately after either a first look or the nuptial ceremony, as those are definitely emotional high points of a wedding day.